We believe that Steam Choice Carpet Cleaning is the best licensed and insured cleaning and restoration service provider in the San Diego, California area! Our trained team of cleaning and restoration experts offer a wide range of quality services for residential, commercial and industrial environments. Our main steam cleaning services include: carpet, rug, tile & grout, upholstery, mattress cleaning. We also offer emergency flood and water damage restoration services. Call Steam Choice Carpet Cleaning and you won’t be disappointed! 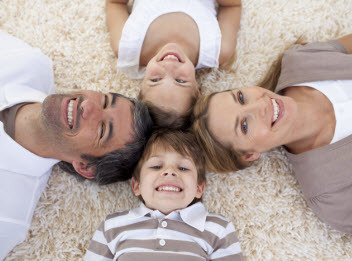 Why hire a professional carpet cleaner? Over time, all surfaces become soiled. As these soils become embedded, they can be extremely difficult (if not impossible) to remove with standard cleaning products. These soils not only look unsightly and embarrassing, but they also contribute to premature wear and degradation of your textiles; as well as poor air quality in your home or office that can lead to asthma and respiratory ailments. 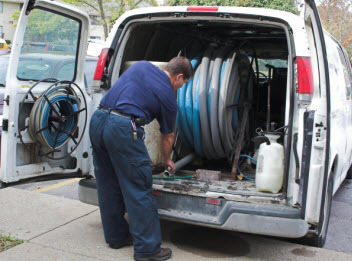 Our specialized training and education, coupled with our powerful truck mounted cleaning equipment, enable us to return your carpet and rugs to a like new condition. We know that you have made a substantial investment in your floor coverings and upholstery. It only makes sense to protect your investment with regular professional cleaning and maintenance! Our professionals at Steam Choice Carpet Cleaning understand that quality upholstered furniture can be quite an investment. Children, pets, and everyday wear and tear can leave your expensive furniture looking stained and dingy and smelling not quite so fresh. Furniture cleaning can be a challenge and difficult to clean without the proper equipment. You actually may do more harm than good by attempting to spot clean your own furniture! Professional upholstery cleaning will not only improve the appearance of your furniture and give it a fresh scent but also protect your investment by extending its useful life. Just like carpet and rug cleaning, regular upholstery cleaning will also remove indoor air pollutants such as pollen, dust mites and allergens, resulting in healthier indoor air quality. For many homeowners, tile and grout cleaning can feel like an exercise in futility. Even with regular household cleaning, tile surfaces and grout lines become discolored. Grout cleaning specifically, can be especially difficult, as grout lines are porous and stains often sink in and become embedded. Not to mention that grout acts like a magnet for bacteria, dirt and contaminants. Tile in moist, wet environments like showers and bathroom areas can also be a breeding ground for mold and mildew. Why frustrate yourself crawling around your floors on your hands and knees with a scrub brush and a bucket full of tile cleaner only to make a small improvement if that? Call Steam Choice Carpet Cleaning and let us clean your tile and grout surfaces for you! When a flood happens in your home or business, you simply cannot afford to wait to address the problem. This is why Steam Choice Carpet Cleaning are available 24/7 for our emergency flood and water extraction services. If you do not immediately take care of water damage, you are risking a chance of not only further damage but possible health problems. With our state-of-the-art water extraction and drying equipment we are able to extract all the flood water. Our fully trained technicians are experienced in both residential and commercial emergency flood and water damage restoration services. Don’t let an emergency flood or water disaster destroy your home or business. Call Steam Choice Carpet Cleaning and speak to one of our fully trained technicians whenever disaster strikes!